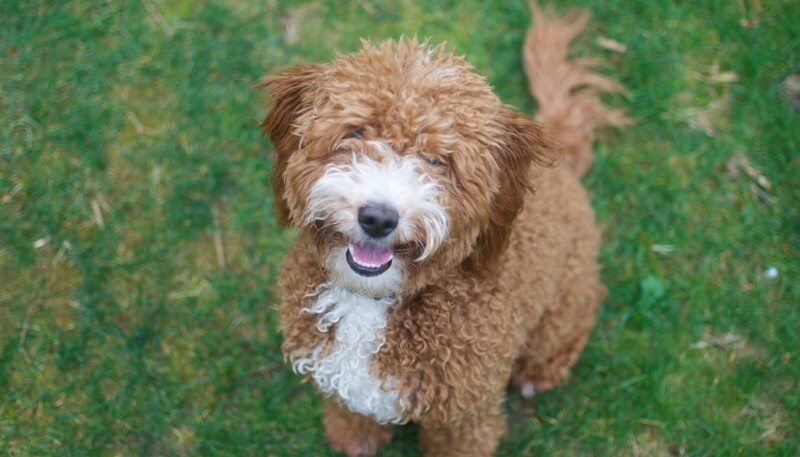 I hope that by this time next week Beyonce will have her mini goldendoodle puppies! She is still a happy girl but I can tell this extra weight is getting old and it is harder for her to jump up on our bed or the couch for cuddles so I’m coming down to the floor more and more. Beyonce’s heat cycle started on Oct 10th (9 weeks ago) and her first date with Gizmo was on Oct 17th. 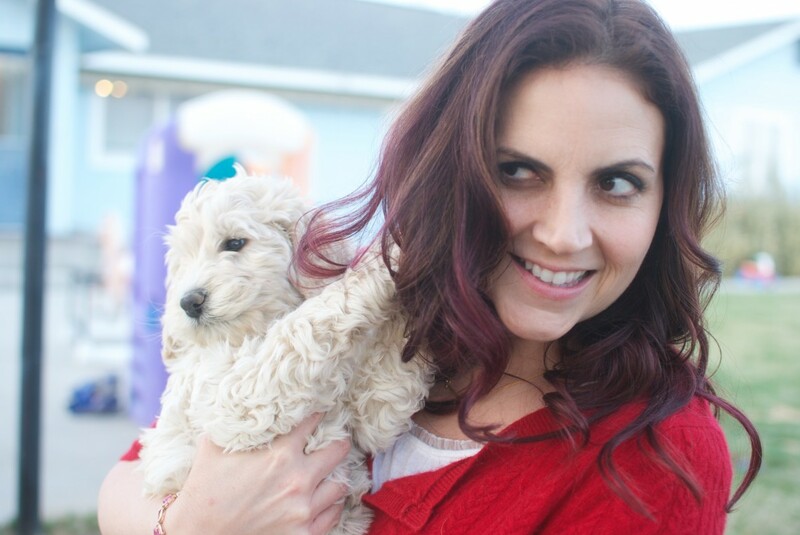 I took her for X-rays on December 3rd and Dr Raja said he saw at least 5 puppies however since we had the appointment a little early (Dr Raja’s wife is about to have a baby and he’ll be out) he said there is a possibility of more than 5. Here are the X-rays as well as her on the couch this morning showing her belly. I think she might just be 21 pounds now which is really big considering she is normally 15. I think the side view, 1st X-ray is easier to count – look for the head and spine. How many do you see?! 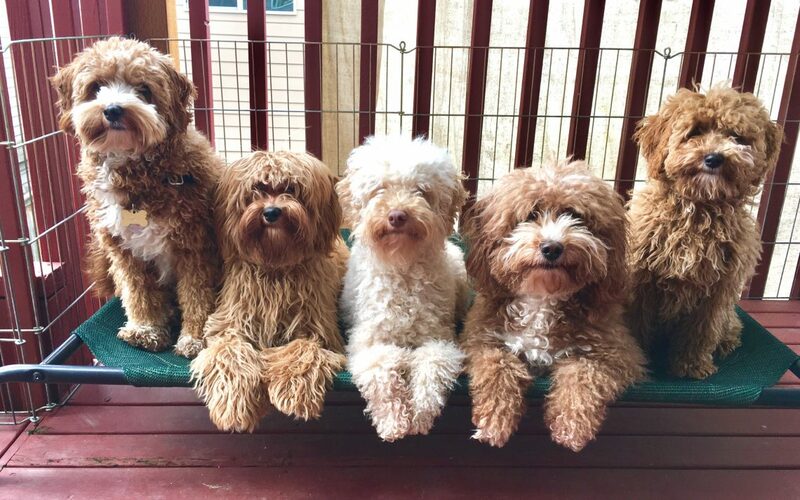 Brinkley was one of Shakira‘s mini double doodle puppies born on August 18, 2014. Brinkley was the smallest of the litter and the only puppy with a straight coat. He was adopted by Craig and Susan who were looking for a small dog and favored the straighter coat/ lab look over the curls. Susan sent me a message to say Brinkley is 5 lbs now, thinking he’ll be around 11 lbs. He’s a dream. He sleeps all night, goes to the door and barks when he needs to go out, is learning to sit. He still doesn’t like to go for walks, just sits and look cute. 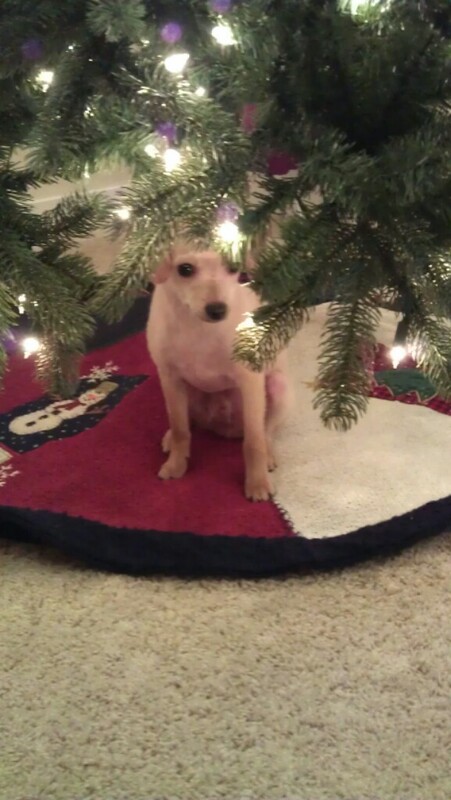 She also attached this adorable pic of Brinkley under their tree. So happy to see everyone is happy and we found a good fit!